Just to be sure...the differences between Virtual Reality and 2D/3D Augmented Reality! The world of Augmented & Virtual Reality is rapidly expanding in terms of both hardware as software, like Apple’s ARKit and Google’s ARCore. With the introduction of headsets like the Microsoft HoloLens, Magic Leap and the Aryzon® AR Cardboard Headset this world is getting even more complex with the introduction of the term ‘Mixed Reality’. These headsets offer 3D Augmented or Mixed Reality experience, which is noticeably different compared to 2D AR/MR seen via a smartphone or tablet display. About the latter many know the IKEA AR app, the Pottery Barn AR app and of course Niantic’s Pokémon GO! 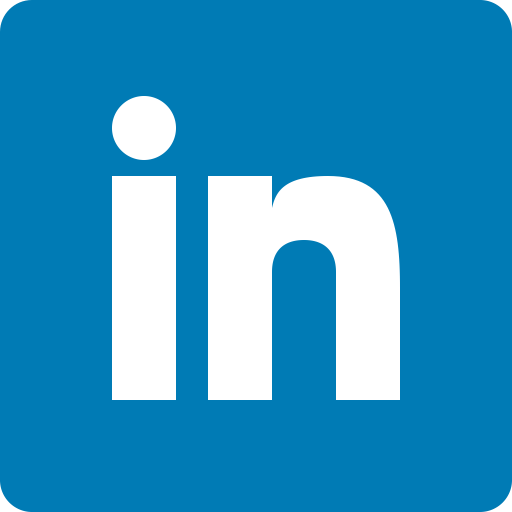 The experience is 2D however, which is sometimes sufficient enough for its application. After all, let’s face it, when outdoors you are not running to catch Pokemons with an headset attached to your head, at least not yet with the current ones. All those different applications and technologies are for some people confusing, mixing up the different uses of the technologies. To make things clear for everyone a short distinction between them. Virtual Reality (VR): immerses users in a fully digital artificial environment, not able to see the real world anymore. Perfect in cases where you want to train or view a totally different world. 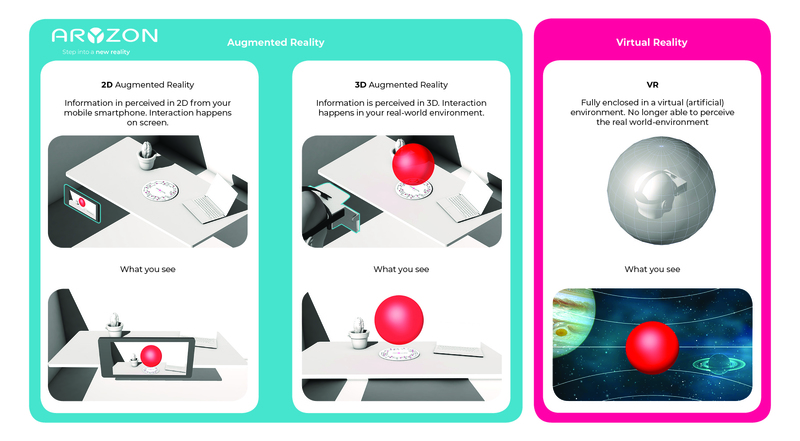 Augmented Reality (AR): overlays virtual content on the real-world environment, either perceived in 2D or 3D. Very useful when you still want to be able to see the real world. Mixed Reality (MR): overlays virtual content on the real-world environment but the virtual content also interacts with objects in the real-world. AR can be seen as subcategory of Mixed Reality. Because many people are already struggling with the difference between AR and VR, the term Mixed Reality is frequently mixed up with Augmented Reality. Whether this is correct or not, that is something I leave up to the reader. Aryzon® Headsets can be considered both Mixed as Augmented Reality, but considering the mission is to make 3D AR/MR affordable and accessible to anyone, we simply use the term Augmented Reality, being better known for the general public. If you consider the use cases of 2D AR and 3D AR/MR, each has it’s own pros and cons for the different uses, sometimes perfectly combined. When using AR for advertisement at bus stops or inside shopping malls, obviously I’d suggest not to use 3D AR/MR, simply because people are not walking around with the required headsets. Moreover the efforts to take them out of your bag, turning it on and so, do not justify the added value of a 3D experience. So keep it simple and just use a 2D AR app. Sometimes this 3D experience has an added value, for example as part of a tour in a museum or as part of study activities at school or universities. But also when you want to give your customer an amazing AR experience. 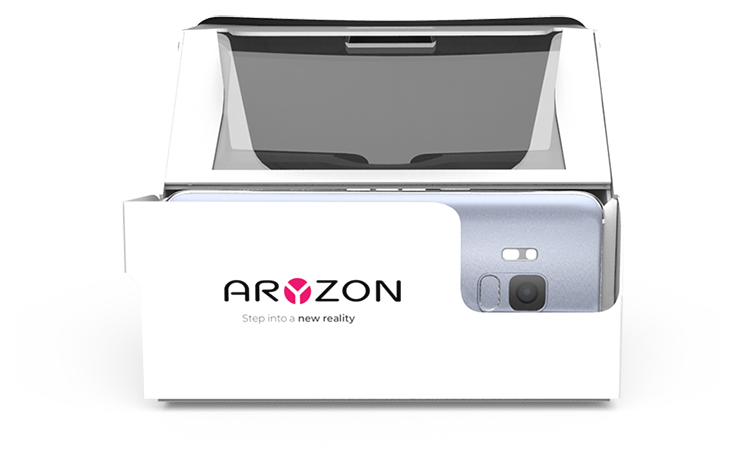 When a scalable and affordable solution is required to start using 3D AR/MR, or at least start experimenting with it, then Aryzon® Headsets might be interesting. 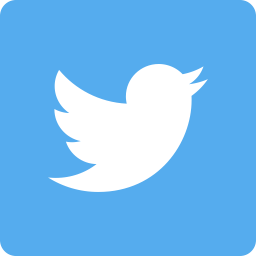 Aryzon® offers developers tools to ease the process of making content supporting the Aryzon Headsets and together as community embracing the mission to make it affordable and accessible for anyone!